Lavender is a charming and versatile flowering plant with endless uses. 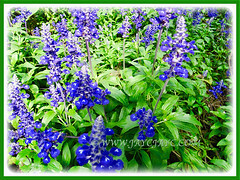 An amazing and aromatic plant that is popularly grown around the globe by gardeners. This beauty is also a favourite among the horticulturists. Its intensely scented flowers, when cut and dried are treasured for making potpourri. It is also used to make fragrant sachets to perfume the home, indoors and outdoors. Etymology: The genus name, Lavandula is from the Latin word, lavare, meaning to wash, referring to its use in baths by ancient Greeks and later Romans. The common name Lavender is from Latin lividus, referring to its bluish and livid flowers. Origin: Native to the Mediterranean down through Eastern Africa and into Southwest Asia and through southeast India. 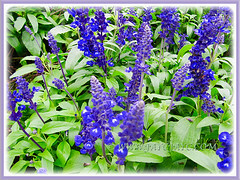 It is naturalized and cultivated all over the globe. Plant type: An ornamental and evergreen shrub or subshrub. 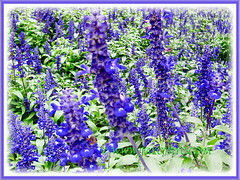 Features: Lavandula is a genus of 47 known species of flowering plants. 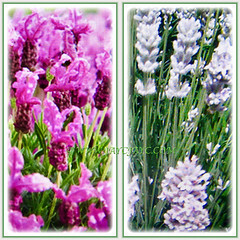 Besides, Lavandula consists of numerous cultivars, varieties and hybrids that were introduced by hybridizers. This lovely subshrub has a moderate to slow growth rate. The plant can reach 30-60 cm tall and 30-45 cm wide. It produces silvery or grey-green hues that contrast beautifully with the spikes of flowers that are on the end of long stalks. The foliage are packed with a refreshing scent that is sweetly spicy. The showy and very attractive flowers have the same fragrance as the leaves. 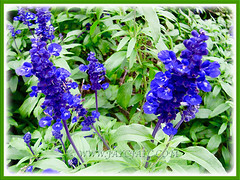 The tubular-shaped flowers are generally in various shades of purple, mauve and blue-violet. Also, you can find different types of Lavender with pink and white blooms. 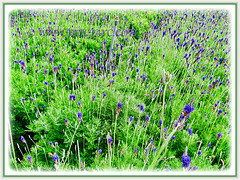 Culture (Care): Lavandula or Lavender can be easily grown with minimum care. Light: Best in full sun though afternoon shade may be beneficial in the hot seasons. Moisture: Medium water needs. 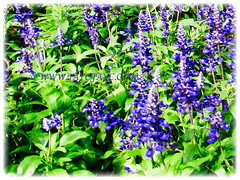 Once established, it is drought-tolerant though will grow and flower better with regular watering. Soil: Humus-enriched, loamy and fast-draining soils. 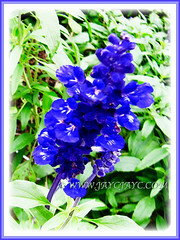 Others: Deadhead the flowers to keep the plants tidy and aesthetically pleasing. Prune the plants regularly after flowering to slow down the green stems from converting to woody ones. Cut back some of the woodier branches of the plant to improve flower production. 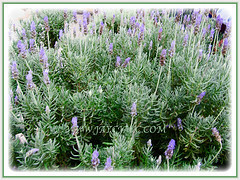 Lavender don’t thrive in high humidity. Provide the plants sufficient elbow room to grow to ensure good air circulation for them to maintain healthy foliage. Feed once monthly with a balanced fertiliser for flowering plants. 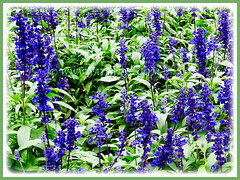 Generally free from serious disease or insect problems. However, they may be prone to leaf spot, root rot, root-knot nematode, four-lined plant bug and caterpillars. Most Lavandula are hardy from zones 5-11 while the species Lavandula stoechas (commonly named Spanish Lavender) is only hardy in zones 7-9. Choose the right Lavender species for your growing conditions. The English Lavenders such as the cold hardy perennial Lavandula angustifolia is widely grown due to its tolerance for winter moisture and humidity. Also, it is deer resistant and a magnet to butterflies. Propagate by taking semi-wood cuttings in summer or sowing seed in a cold frame in spring. Propagation: By seeds, stem cuttings from non-flowering side shoots or clump division. Usage: Lavandula or Lavender, an ornamental plant with various shades of purple flowers will be excellent in garden beds and borders.Ideal in a rock garden or planted to form hedges and borders. Its aromatic flowers when dried is suited for wreaths, fragrant sachets and potpourri as well as used a potent insect repellent. Flowers and young leaves of Lavender are edible and used to flavour desserts, beverages, sauces and marinades. Lavender provides countless uses, including aromatherapy, medicinal as a natural antiseptic and anti-inflammatory agent among others. 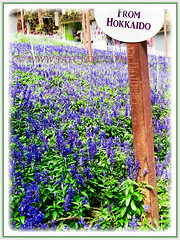 Its fragrant flowers will attract bees, butterflies and other beneficial insects.